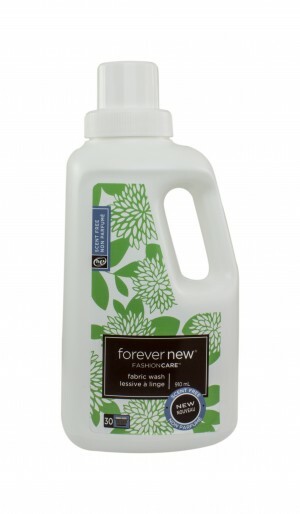 Forever New Fine Fabric Wash is now available in liquid! Perfect for High Efficiency machines, Forever New can be used to wash all delicates and fabrics: lingerie & hosiery, silk, wool, cotton, and lycra. Made with plant based, biodegradable cleansers; free of parabens, phthalates and dyes; and never tested on animals. That's a promise. A small bottle is good for at least 120 hand washes or 30 machine washes.